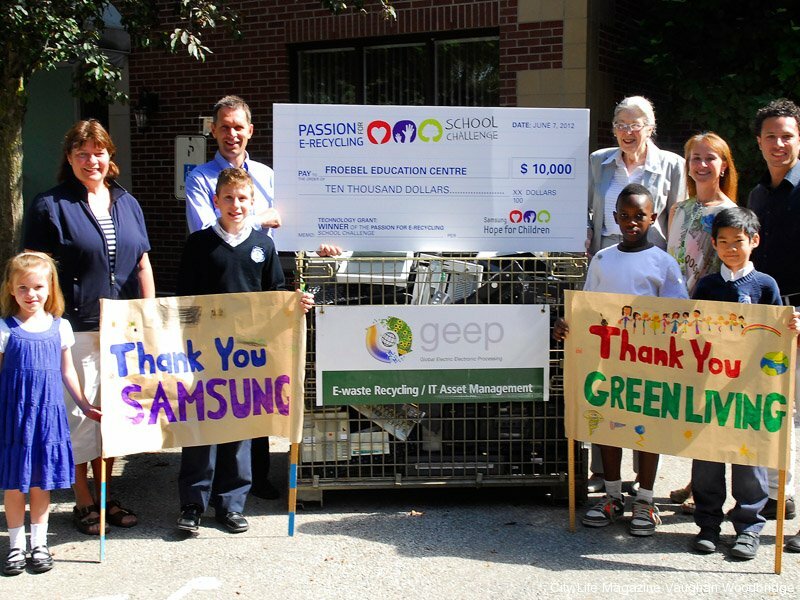 On June 7, 2012, students from the Froebel Education Centre in Mississauga were rewarded a $10,000 technology grant, courtesy of Samsung Hope for Children, for their substantial efforts in the Green Living Show’s Passion for E-Recycling School Challenge. In response to this initiative, the 27 elementary-aged kids banded together, gathering an impressive 7,000 pounds of electronic waste (e-waste) in just 10 days. Averaging 261 pounds of e-waste each, more than any of the other participating GTA schools, these children exhibited great strength in small numbers. The Green Living Show, in partnership with Samsung, created the E-Recycling Challenge to raise awareness of e-waste in elementary schools, and to build a hands-on learning experience that would grab the attention of today’s youth. Motivated by the opportunity to make a difference, 28 GTA schools participated in the challenge. E-waste includes all types of unwanted electronics, which are harmful to the environment when not disposed of properly. 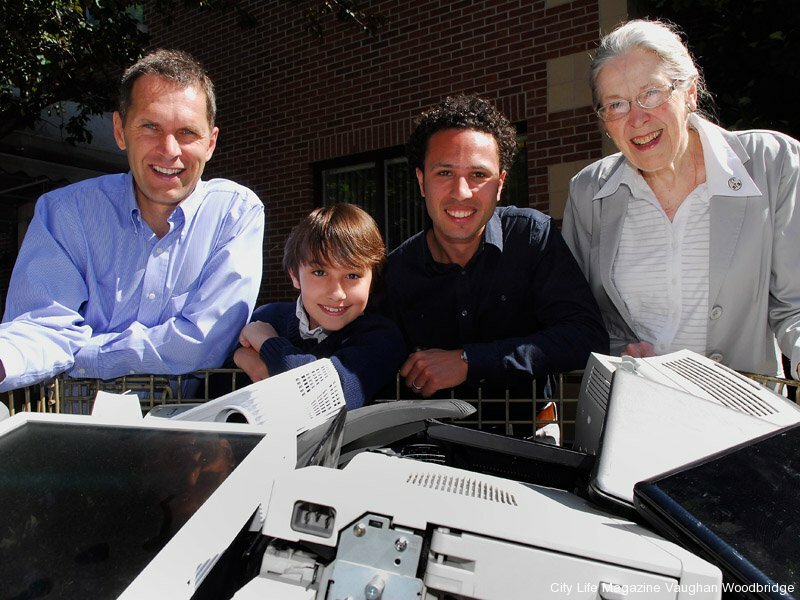 Thanks to this eco-conscious endeavour, and especially the kids at Froebel, about 81,000 pounds of e-waste was collected throughout the spring, with an additional 65,500 pounds brought in by Green Living and Samsung. In addition to teaching a valuable lesson about the hazardous materials in un-recycled electronics, the $10,000 customized electronics package from Samsung will greatly benefit current and future Froebel students. To supplement the E-Recycling Challenge, GTA students were also called to design posters on e-waste, with the winning classrooms receiving either a Samsung Galaxy Tab or Series 9 laptop donated by Samsung Hope for Children. The winning classrooms all came from Sir Richard W. Scott Catholic Elementary School, demonstrating the inspiring effort put into educating kids on this important cause.